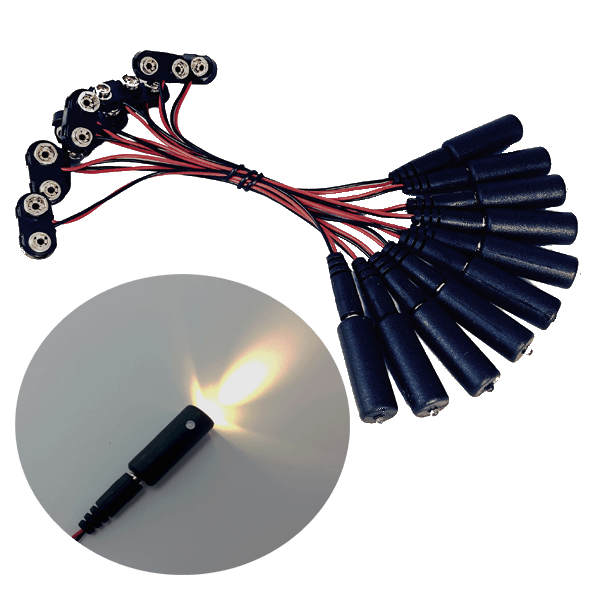 This kit consists of a Flicker Effects Control (FEC1) with 6 different dynamic simulation flickering modes, an red 24 LED silicone bi-pin LED lamp with socket assembly (EEL1-SBL2-R), and a 12 volt battery holder (BHC1-8AA-12V). 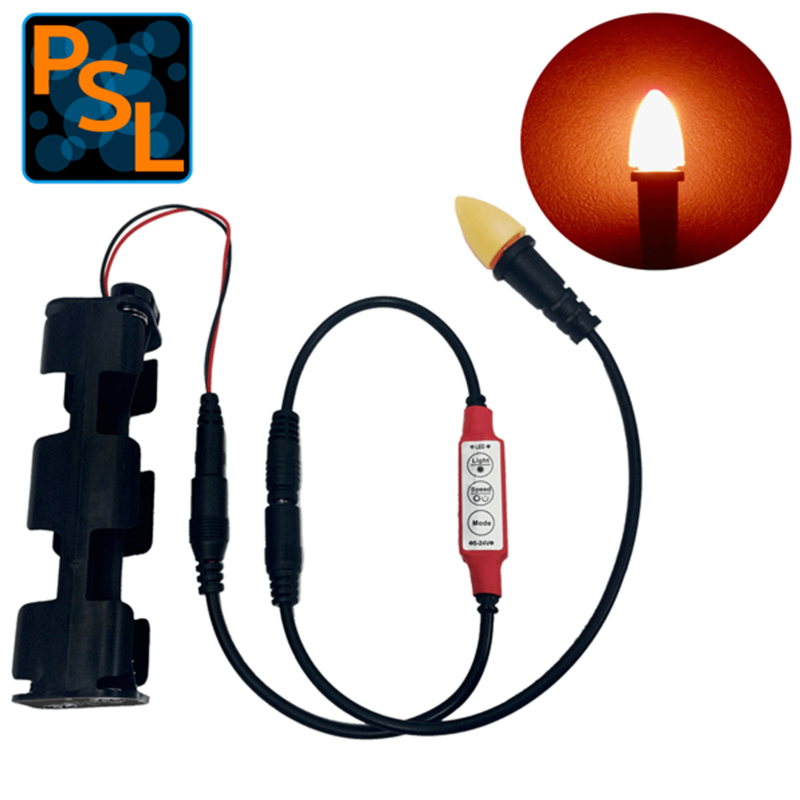 This unit is a professional LED fire and flame simulation light source for building props and scenery. 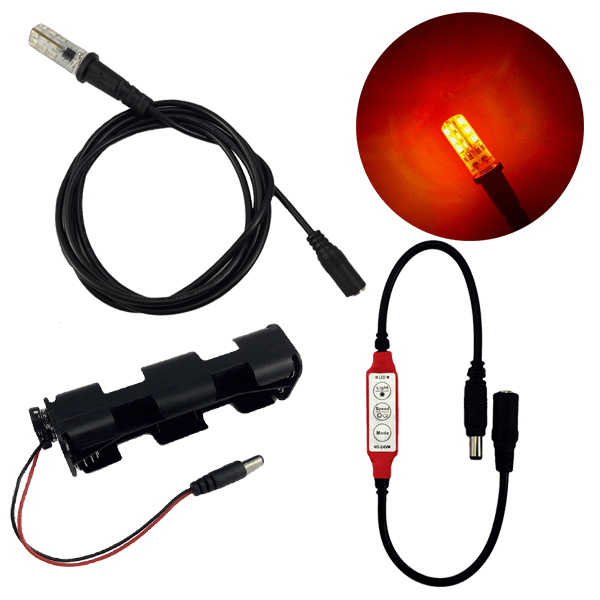 The red LED flame lamp operates from 12 volts DC at 80ma nominal current with light output of 17 lumens. 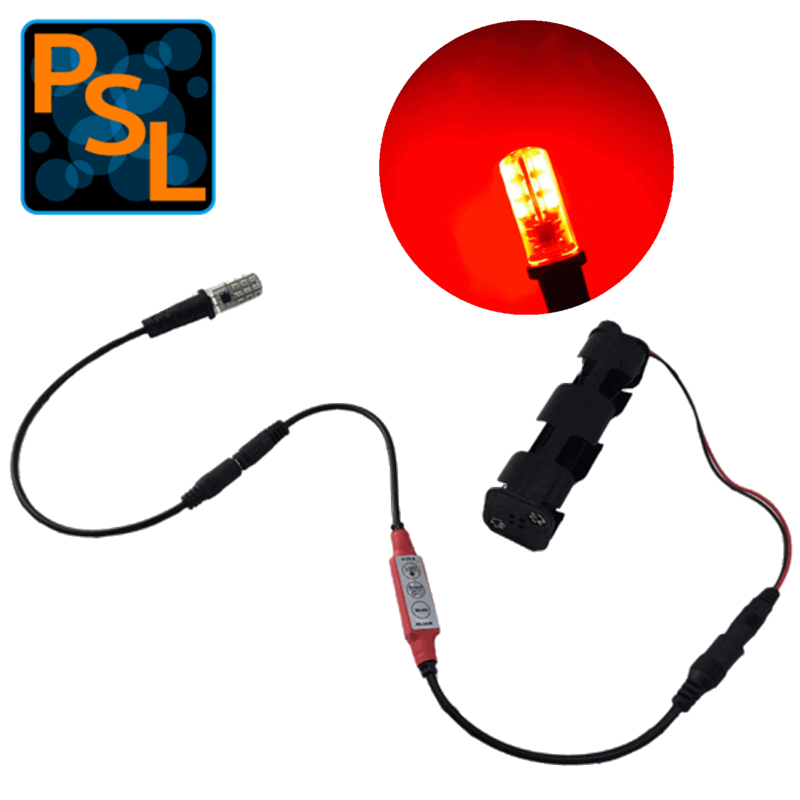 The light uses 24 red LEDs with a 620nm wavelength peak nominal. 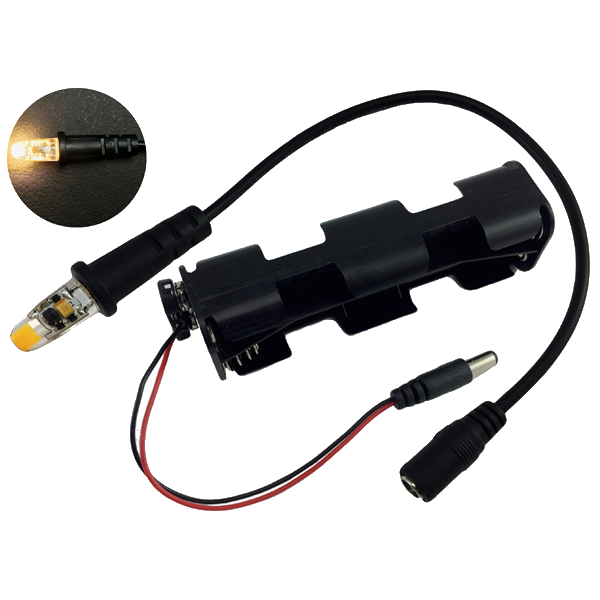 The kit is operated from 8 AA batteries, and runs for more than 12 hours on new alkaline batteries (not included). 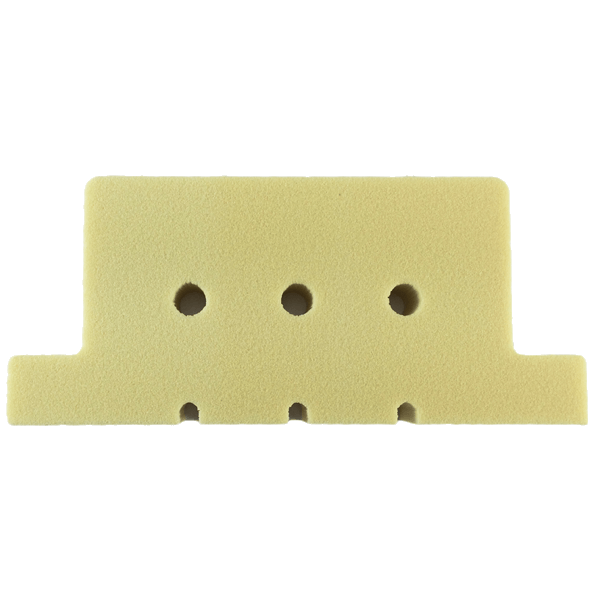 The cable socket assembly can be press fit into a 7/16” hole drilled into rigid foam, wood or other material. The taper of the socket body locks it into place, and the socket has a front flange to limit the insertion depth and provide a finished appearance. 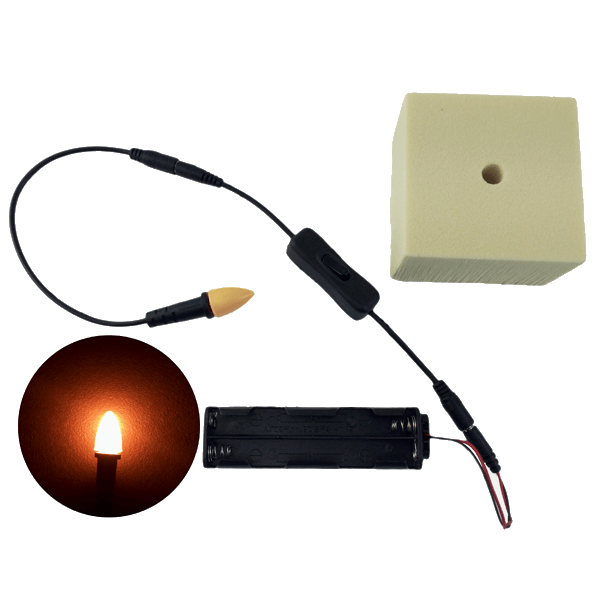 The Light button is used to set the control to static dimming mode while in any dynamic mode, pressing the mode; button starts the dynamic mode again. 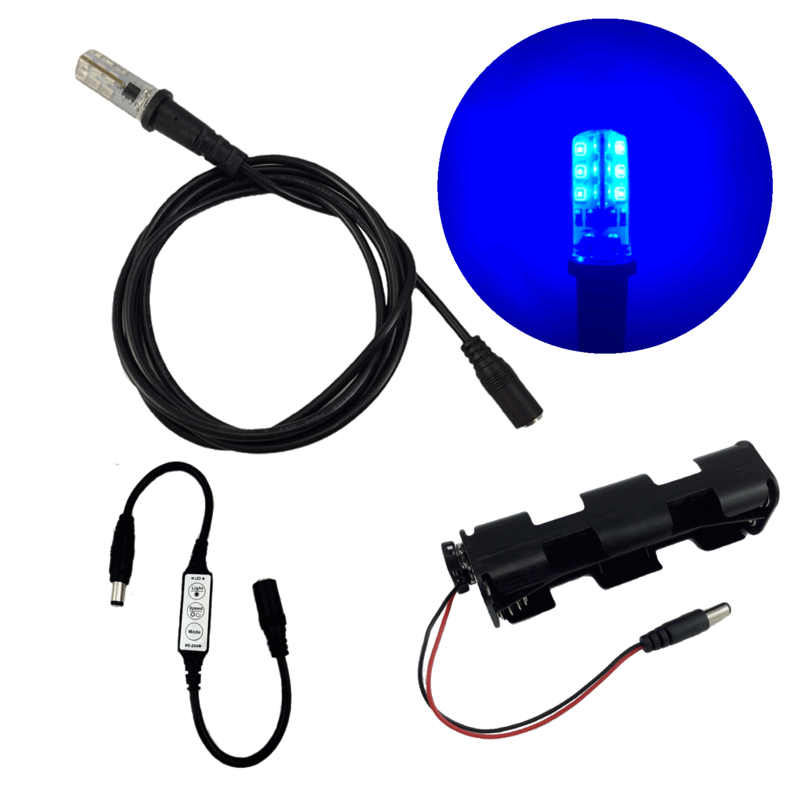 The Speed (On/Off) button provides ten speed levels for dynamic modes. 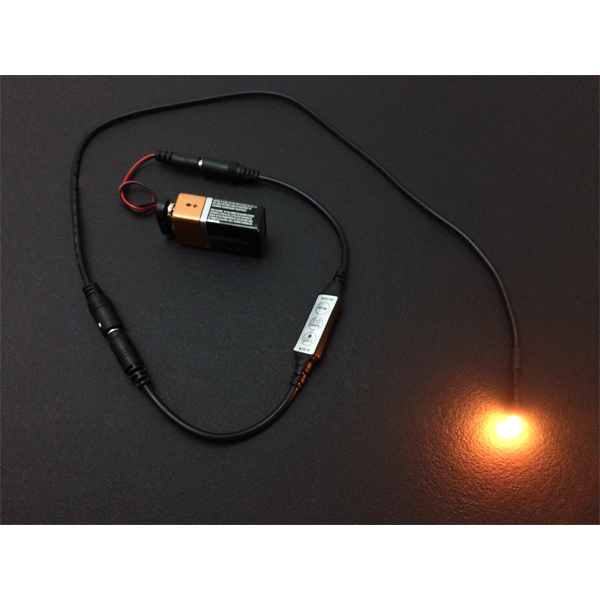 In the static dimming mode this button provides dimming in 12 steps, 10% – 95%. This button is also used to turn the unit off when it is held longer than 3 seconds ref. 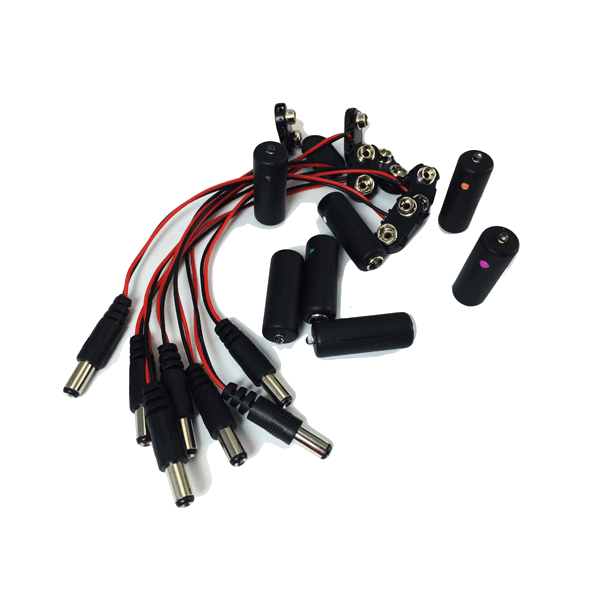 The Mode button provides six dynamic effects, and the Static dimming mode.